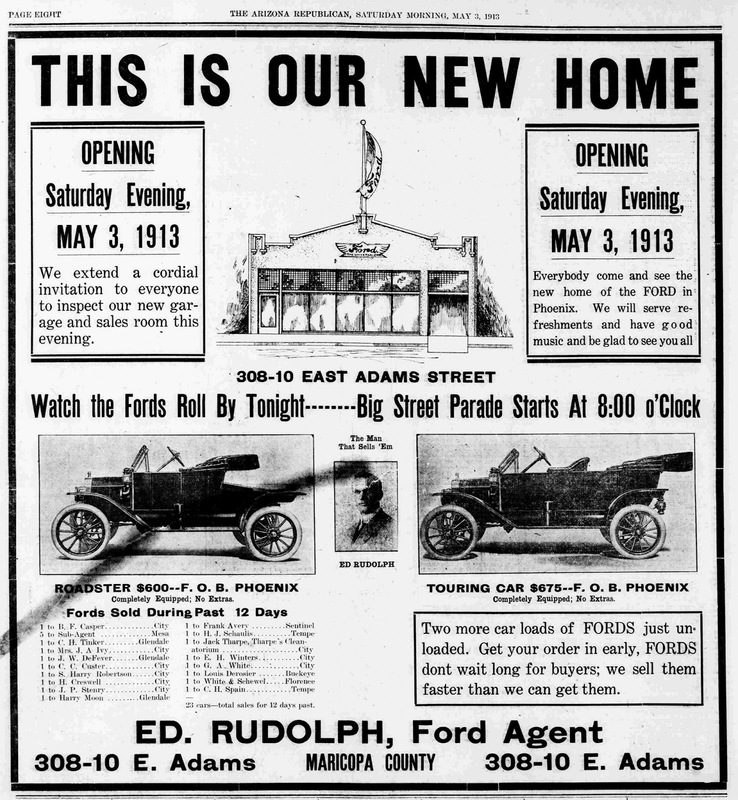 It's Saturday Evening, May 3rd 1913, we're in Phoenix, Arizona, so let's go see the new Fords. The big parade starts at 8:00 o'Clock. 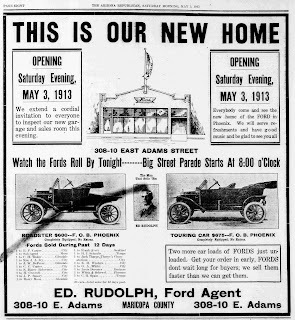 According to the ad that I'm reading in the paper, it's all about Ed Rudolph's new location, at 3rd Street and Adams. I like the Roadster, but the Touring Car is nice, if you have the money. Luckily, this is an imaginary story, so we should have imaginary money, right? Look! There's Ed, the man that sells 'em. I wonder if he'd give me a discount? Or maybe a free car? 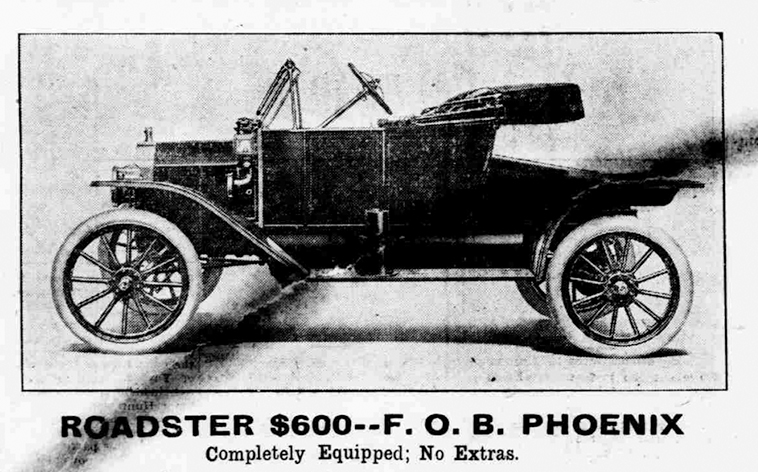 I could drive it around town and give him free advertising. What do you think? Maybe you could go ask him for me? I'd let him put my name in the paper, just like B.F. Casper, C.H. 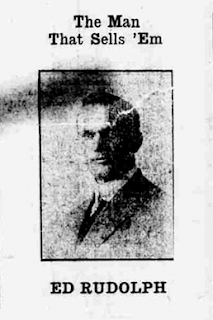 Tinker, Mrs. J.A. Ivy, J.W. DeFever,C.C. Custer, S. Harry Robertson, H. Creswell, J.P. Stenry, Harry Moon, Frank Avery, H.J. Schaulis, Jack Tharpe, E.H. Winters, G.A. White, Louis Derosier, White and Schewel, and C.H. Spain. 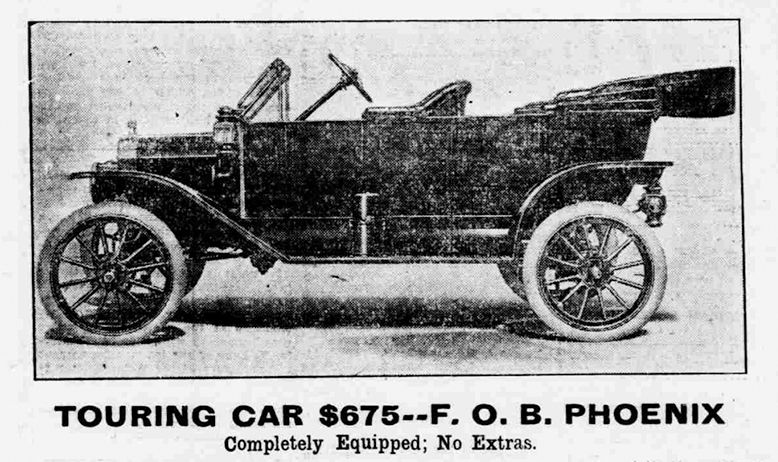 Or maybe we can just watch the cars go by in the parade. Come on! By the way, if you're aren't quite old enough to remember back to this time, you may remember Rudolph as a Chevrolet dealership in Phoenix.